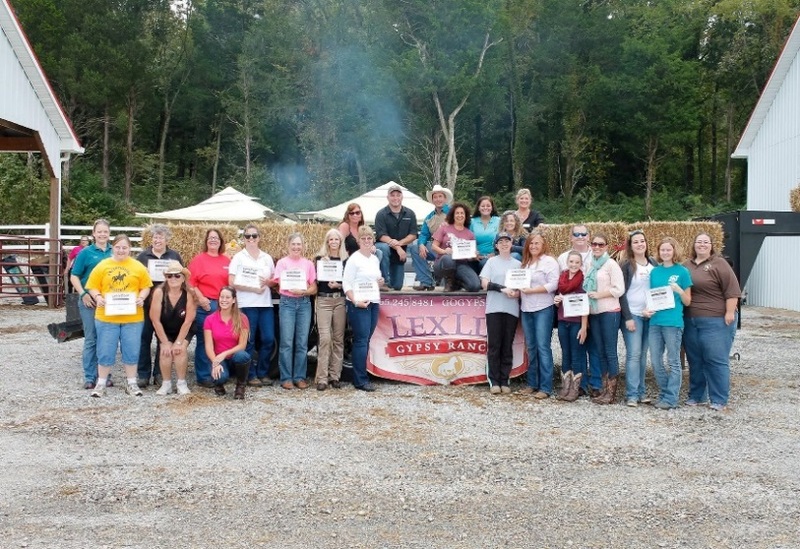 Over the last four years, LexLin Gypsy Ranch’s Gypsy Gift program has been on a mission to positively impact millions of veterans and military personnel as well as special need adults and children through Gypsy Vanner horses donations to therapy centers across the U.S.
LexLin’s Gypsy Ranch, located in Rockwood, TN, is dedicated to breeding quality purebred Gypsy Vanner horses and through Gypsy Gift, they are connected with Equine Assisted Activities and Therapies (EAAT) programs that enrich the lives of the developmentally disabled, sick, injured and troubled. These programs are geared toward people of all ages with physical, mental and emotional needs as well as veterans with disabilities and those suffering from post-traumatic stress disorder. 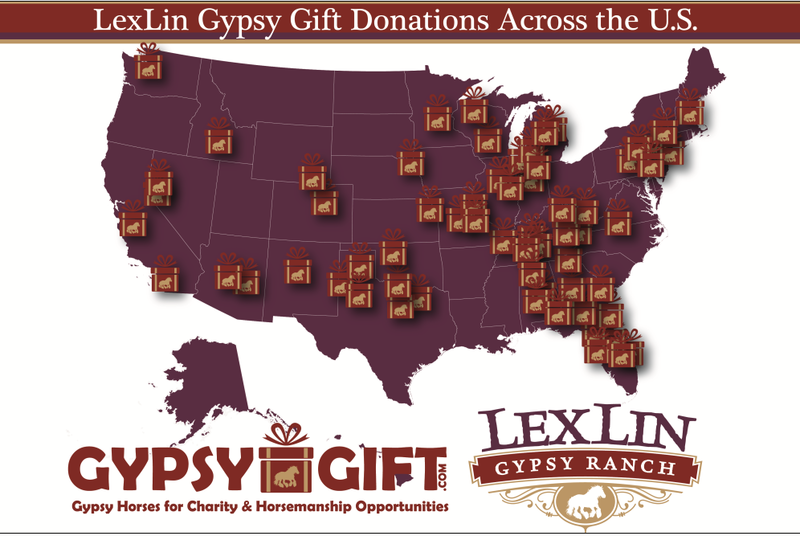 This July will mark a milestone with 65 horses horse donated through the Gypsy Gift program. In 2011, LexLin initiated their philanthropic mission through a program predecessor to Gypsy Gift – LexLin Gives Back – Honoring our Heroes, which was dedicated to raising awareness of the many heroes in everyday life, especially those serving overseas and those who consistently put others’ freedom, safety and needs ahead of their own. 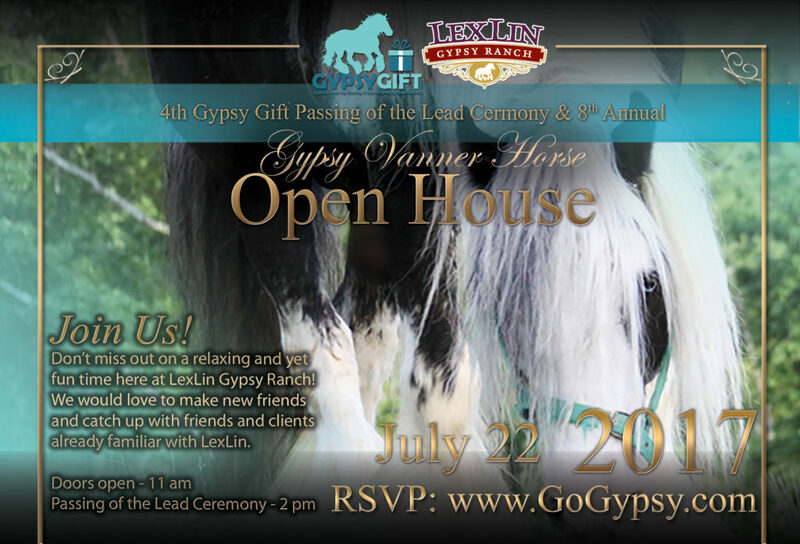 In 2013, LexLin allowed fans to select the recipient of a Gypsy Vanner. They selected organizations that support veterans through therapy. Thus the idea behind Gypsy Gift was born. Instead of selling each horse and having one horse affect just one life, through the donation program each horse can now touch tens of thousands of lives over its lifetime of service. As a veteran and owner of LexLin, Vanquish Worldwide, and now Tennessee Veterans Business Association (TVBA) President, Dr. Eric W. Barton believes wholeheartedly in helping veterans and others in need by using the horses he and his family fell in love with years ago on a trip to Wales. 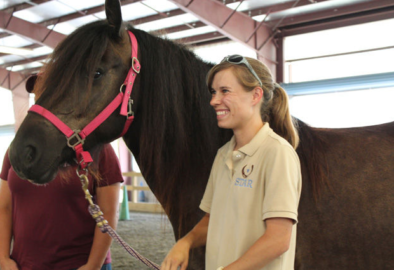 “Gypsy Gift was created because we knew equine therapy participants would benefit from the gentleness, curiosity and many other wonderful traits the Gypsy breed has to offer. We want these horses to make the biggest impact they can over their lifetime. 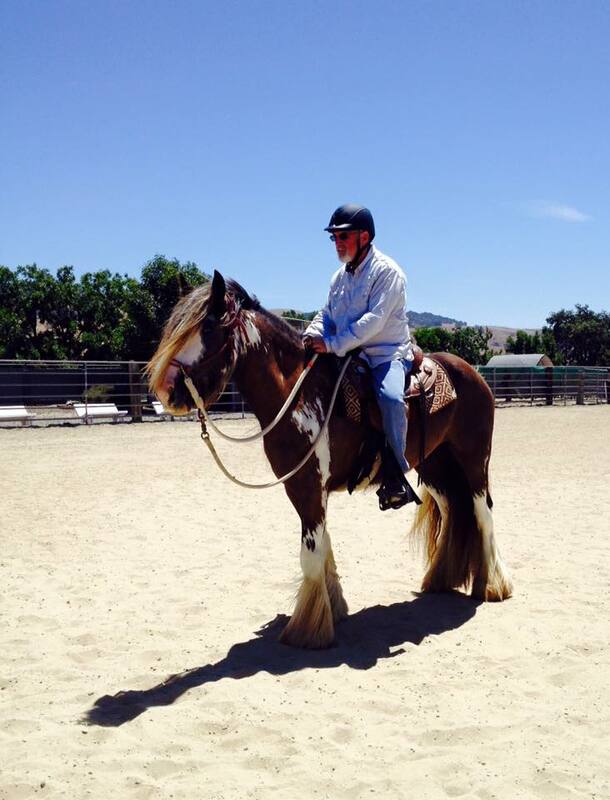 Most of the centers that have received a horse have at least one program to assist veterans and military personnel which makes this program all that more special to me. I feel we need to do what we can to assist our nation’s military, during deployment and when they return home” said Dr. Eric W. Barton. Over the years, LexLin has received outstanding feedback on the Gypsy Vanners’ installation into veteran therapy programs throughout the U.S. For DreamPower Horsemanship in California, LexLin’s Patriot works primarily with military veterans in their Horses for Warriors program and with law enforcement officers in The LEOS project, helping those individuals conquer PTSD. 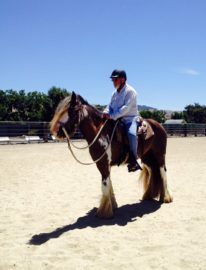 “We chose LexLin’s Patriot, a four-year-old black and white Gypsy Vanner gelding who seemed best suited to work with our military veterans and law enforcement officers at DreamPower,” Martha McNeil, of DreamPower, said. Other therapy centers have said that the Gypsy Gift donation will help to expand their therapy programs to begin assisting veterans and those suffering from PTSD. One of those centers is C.H.U.M. 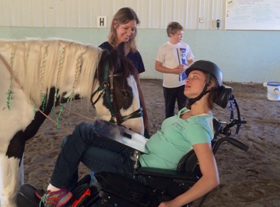 Therapeutic Riding Inc., who received Above The Law, who they later renamed Serenity, in 2015. “We have a veteran who is working with (Serenity) and we are exploring a veteran program to bring in other veterans to help teach/train/work with young, untrained horses,” Bonnie DePue of C.H.U.M., said of their Gypsy Vanner. The therapeutic potential of the Gypsy Vanner breed is growing across the U.S. as awareness of their manageability, and other unique traits grow. They are a beautiful and majestic breed with a nature to please and cooperate no matter the task. They are gentle, intelligent, and safe to be around which lends to being ideally suited for the type of work performed at therapy centers. Their build makes them ideal for riders of all sizes. Serenity greets a visitor at C.H.U.M. Therapeutic Riding Inc. Starting mid-June, 20 more Gypsy Vanners are being matched with therapy centers across the country to reach the milestone of 65 donated horses. Daily voting for this year’s Gypsy Gift was unprecedented with a total of 364,458 votes placed for all centers in the contest over the two-month voting period. During this time, the first-place center alone accumulating 30,770 votes! The annual Passing of the Lead ceremony, where center representatives receive their selected horse, will be held at a LexLin Ranch Open House on July 22, 2017. The Open House begins at 11 AM with the Passing of the Lead ceremony starting promptly at 2 PM. Shangri-La Therapeutic Riding Academy (STAR) trainer delighted to have their second Gypsy Vanner at their facility in Lenoir City, TN. STAR now has three horses from LexLin working and training to support their growing therapy programs and patrons. TVBA will have staff and volunteers on hand on July 22 to show support for such an impactful program that provides ongoing support to the welfare and success of veterans after military life. Barton and the TVBA team hope you come out with your family to Rockwood, TN on July 22nd to see the 100+ remaining horses on the ranch and the 20 that will be donated that day. It will be an emotional, fun-filled day full of fellowship, refreshments, scenic views, and horses! This will be an event you do not want to miss! To find out more about the Gypsy Gift visit GoGypsy.com. To RSVP for the upcoming Passing of the Lead ceremony, please visit https://www.gogypsy.com/gypsygift2017.